Another beautiful bride in her wedding dress while it was in the making. This was the last wedding dress I made for 2014, just before the birth of our little firstborn. Lindy had such a beautiful figure and this design accentuated all the right spots. In the same way the crossed over ruching minimizes width by drawing the eyes diagonally across the body, accentuating her small waist, the sweetheart neckline flatters just about any bust size. 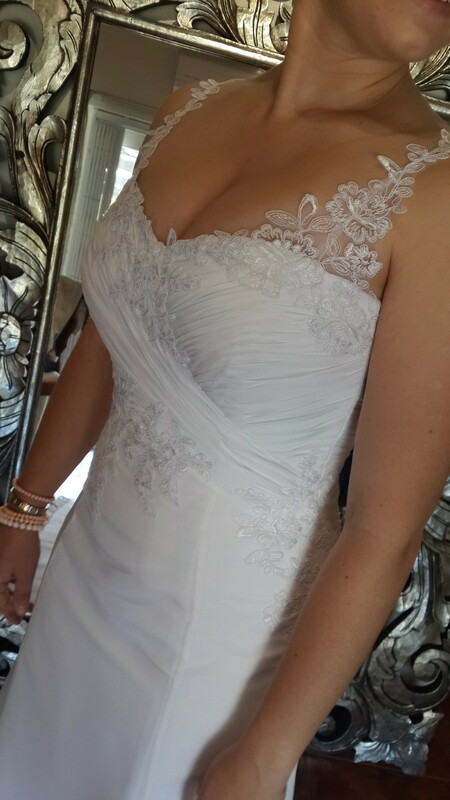 The beautiful lace applique’s made this wedding dress extra special, especially with it running over the shoulders. 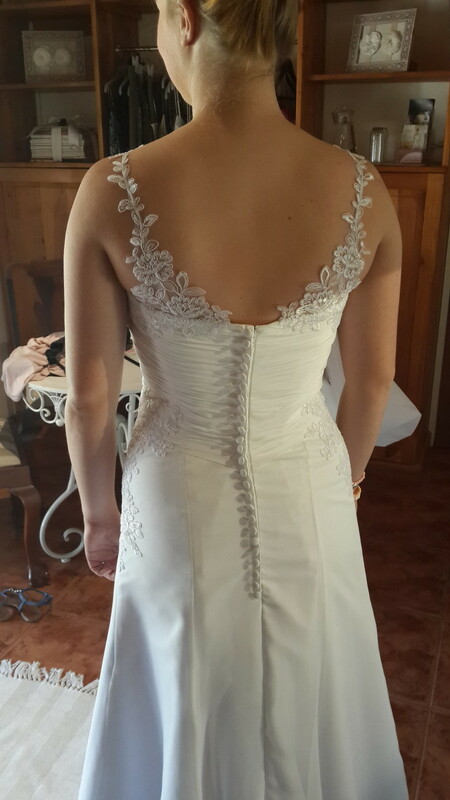 The lace straps made for a interesting feature at the back and the covered buttons down the zip finished off this classic bride’s wedding dress. A fingertip length veil completed her look for her walk down the aisle. I’ll post more photos once I have received the ones of her on her wedding day.